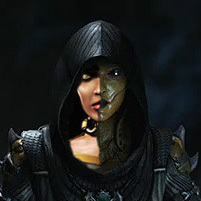 An avatar change isn't usually considered news, but when there's a vacuum of reliable Mortal Kombat information, and you're franchise figurehead Ed Boon, your slightest tweak inspires special significance for 367,000 rabid followers! As the 25th year of Mortal Kombat draws toward an end; Boon made the switch from a celebratory anniversary dragon logo [pictured below left], to something reflecting the two major franchises he oversees with NetherRealm Studios: Scorpion from Mortal Kombat X, and Batman of the DC Comics Injustice stable! Looks like Mortal Kombat 11 was a giant bomb at this year's E3 show. For night 2 of their E3 coverage, Giant Bomb hosts Jeff Gerstmann and Dan Ryckert had a sit-down meeting hosted a panel with several developers, including Ed Boon of NetherRealm Studios, Jacob Mikkelson and Sven Liebold of IO Interactive, and Eric Pope of Ubisoft.